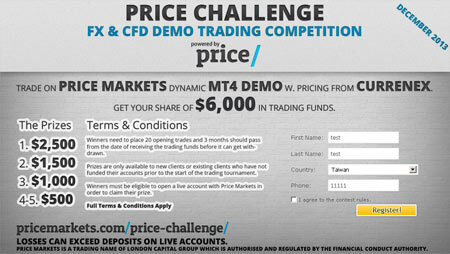 We’re happy to announce a new forex trading contest sponsored by Price Markets and the last one for 2013! Traders will start with a balance of $10,000 and a leverage of 1:100. Wishing you an exciting weekend! Posted in Myfxbook Updates | Comments Off on New Forex Contest! $6,000 In Prizes! As the leading social forex community and forex account analysis service, we’re always looking to develop new and unique features to be used by our members. Some of our features even create new industry standards, after seeing many of our competitors copy it to the letter (for example, account verification process and system tags). Which system has the highest return with the lowest risk, while having the most consistent growth curve? How to read the above formula? – When a system’s gains increase, ranking increases and vice versa. – When a system’s drawdown increases, ranking decreases and vice versa. – When a system’s standard deviation increases , ranking decreases and vice versa. If you have any suggestions or comments for improvements, do let us know. On the same note of new features, we’re also excited to announce the addition of a new widget – the toolbar widget! You can now add the same toolbar as in Myfxbook, to your website, which shows calendar events, streaming news and rates! (If you’re having trouble setting it up, do let us know). You are currently browsing the The Myfxbook Blog blog archives for November, 2013.